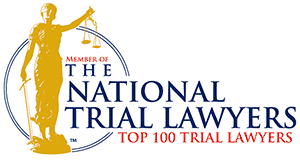 One of the most respected criminal defense & DUI firms in Minnesota. Led by criminal defense attorney Eric J. Olson, the team at Olson Defense law office ensures you receive the attention and service you need when facing DUI or criminal charges. Serving as the lead attorney in the firm, Mr. Olson is supported by his associate, William Bailey, professional paralegals and administrative support personnel who work on your case with diligence, compassion and determination. Knowledge you can count on. Experience you can trust. 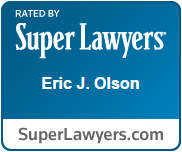 As a former prosecutor and career-long criminal defense and DUI attorney, Mr. Olson and his team combine expansive legal knowledge, deep comprehension of criminal defense law and specialized practice areas for every client they represent. He and the team apply proven strategies that help provide clients successful results in a driven, convenient, compassionate manner. At Olson Defense, we define successful representation as placing you in a better position – both emotionally and legally – than when you first sought help through our firm. Mr. Olson and his team are committed to obtaining the most favorable results for our clients and doing so in a compassionate but aggressive manner. That's why we offer in-home visits, court transportation, strategic legal counsel and compassionate support throughout. Arrested for a crime? Charged with a DUI? Contact Olson Defense for a free consultation.